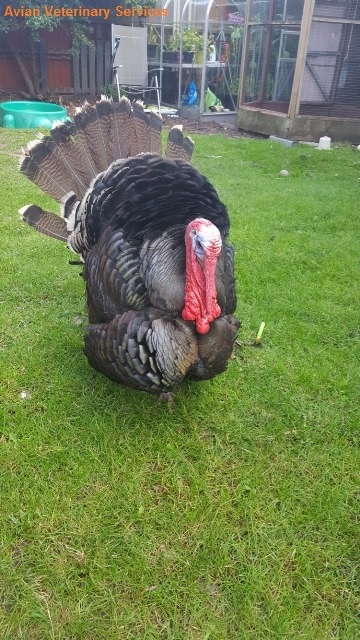 avianveterinaryservices.co.uk | A Turkey Is Not Just For Christmas!! 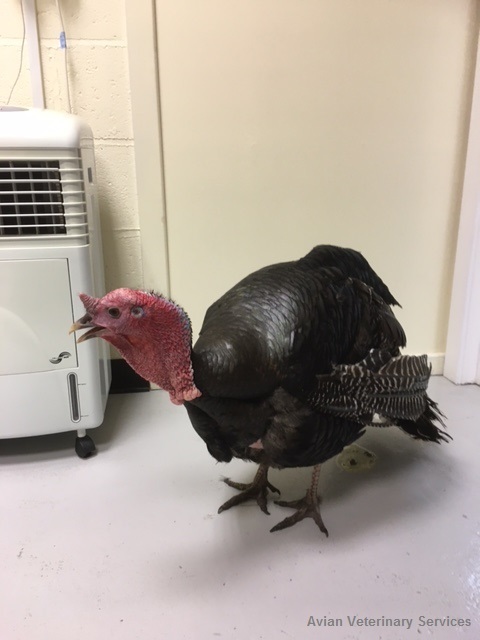 A Turkey Is Not Just For Christmas!! 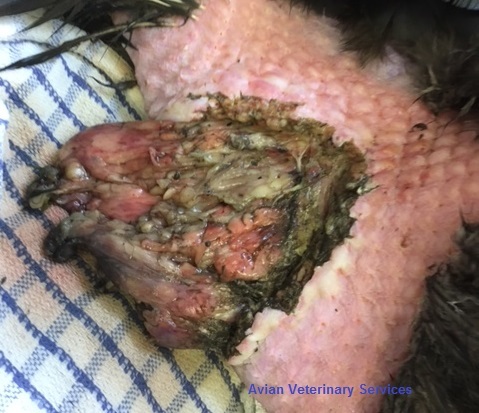 ‘Turkey Turk’ an unusual but clearly much loved pet presented recently after being attacked by a dog, sustaining a nasty neck wound which we were concerned involved important structures underneath like crop, windpipe and major blood vessels. 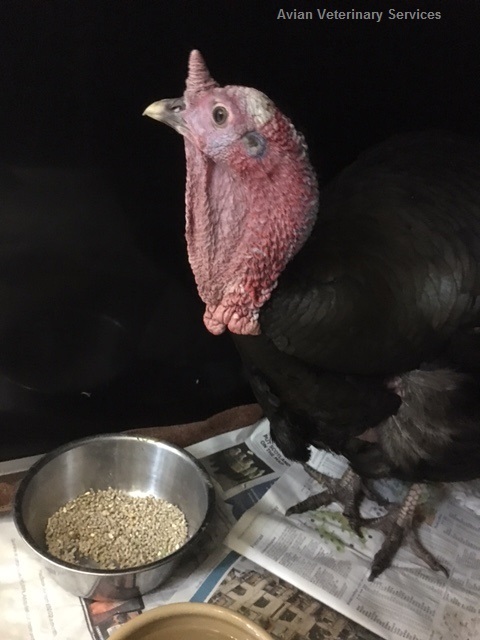 At nearly 10 kg he also presented a surgical challenge, as we could just about fit him on our operating table!! 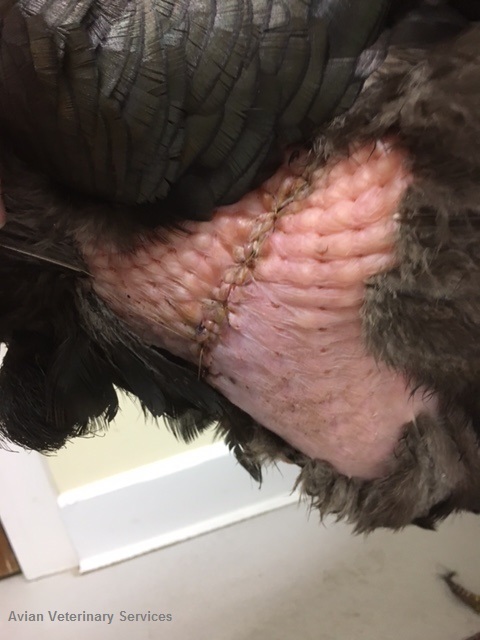 Thankfully the damaged tissue was mostly fat which could be surgically removed and with minimal blood loss the wound closed up nicely. 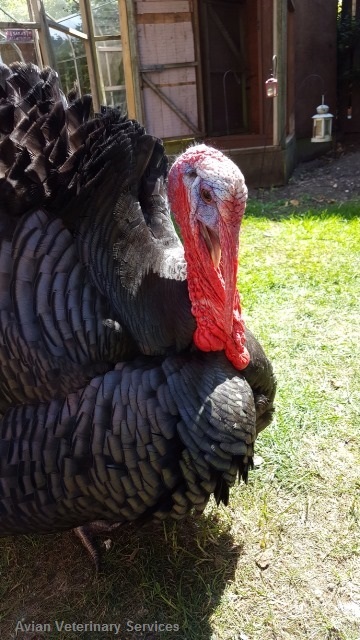 We enjoyed hospitalizing him and we learnt a lot about turkey ‘snoods’, which far from being just a floppy decorative bit of tissue are highly manoeuvrable, a bit like an elephant’s trunk. When we had to give him his antibiotics and pain meds or remove his stitches he would display his ‘angry snood’ where it turned into more of a rhino horn! We spoke to his owners recently who describe he is back to his normal active self and has returned to playing football…….brilliant! 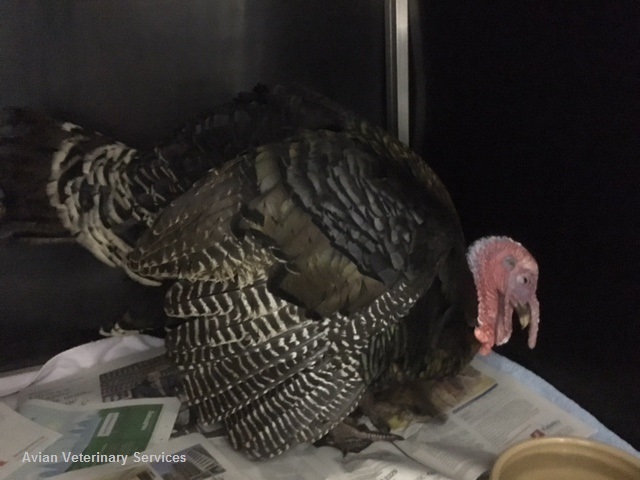 We will never have Turkey for Christmas dinner ever again! !